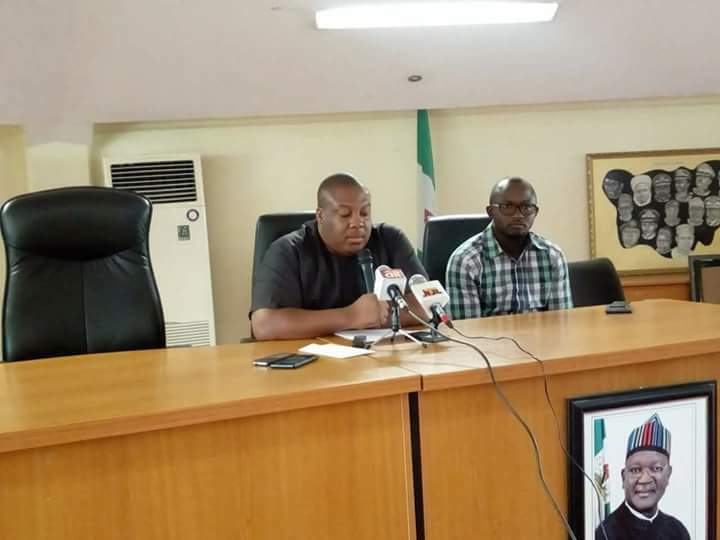 Benue State Executive Council has granted approval to the Ministry of Works,Transport and Energy to construct Thirty township roads to the tune of Eight point Three billion naira. The township roads are in Makurdi,Otukpo,Gboko and Katsina Ala Local Government Areas. Exco also approved the commencement of contruction of the Awajir-Oju road awarded to CGGC Global projects Nigeria Limited at the cost of Four point Eight billion naira. Briefing Newsmen at the end of the Council meeting Wednesday presided by Governor Samuel Ortom, Commssioner for Information and Orientation, Mr.Lawrence Onoja Junior, said the Ministry of Works had been directed to sign MOU on behalf of government with the Contractor Ghas Integrated Service Limited. Mr.Onoja Junior said Exco also directed the Commissioner of Finance to sign the relevant documents with the Company for commencement of work on the Thirty roads. The Information and Orientation Commissioner told Newsmen that Exco approved the phase Three participation of Benue in the Federal Government Rural Access and Agricultural Marketing project and directed the Agric Commissioner to handle all requirements for intervention by Rural Access and Agricultural office,Abuja. Mr.Onoja Junior stated that Exco equally approved Benue participation in the Federal Government World Bank Greenfield programme tagged "Performance For Results scheduled to commence July this year. He said in respect of the Greenfield programme,a steering committee had been constituted chaired by the Director General of State Planning Commission with Debt Management Office,Benue Internal Revenue Service BIRS,Accountant General and Auditor General as members. The Commissioner said the State Exco approved the appointment of Dr.Sunday Edor as the substantive Provost, College of Education, Oju and that the letter to that effect had already been signed by Governor Ortom.